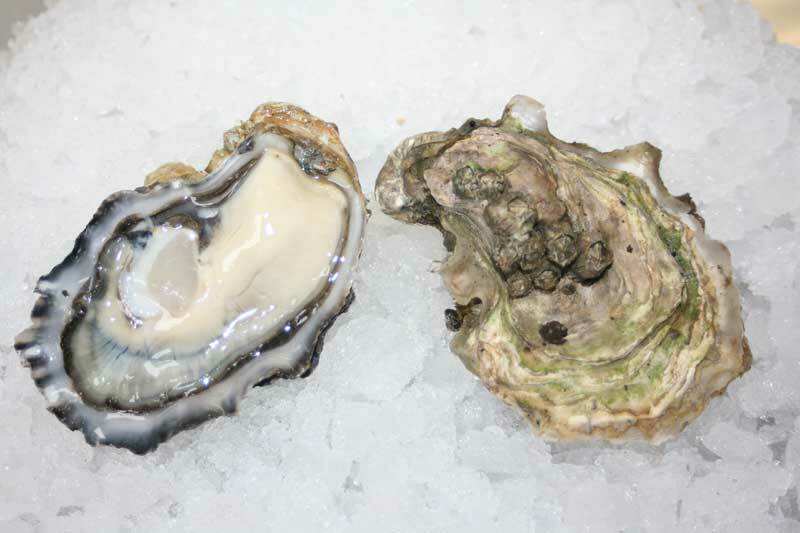 Bald Point oysters are grown about half way up the west side of Washington’s Hood Canal, a little north of the mouth of the Hamma Hamma River. They are raised from hatchery-produced seed and are grown intertidally on the beach. They mature with the hard shell associated with that growing technique. The meats are relatively plump; their flavor starts mildly salty, then becomes somewhat sweet, and finishes with a fruity aftertaste. Bald Point Oyster - Marinelli Shellfish Co.